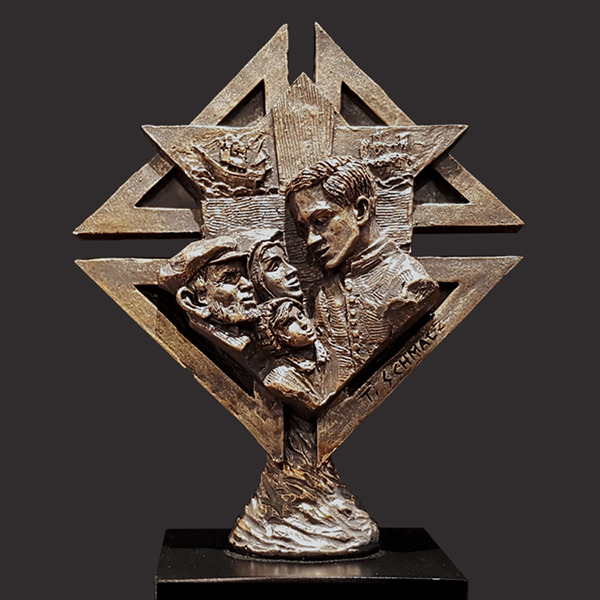 Knights Of Columbus Sculpture by Timothy P. Schmalz is a perfect gift for someone involved in the world's largest Catholic fraternal service organization. 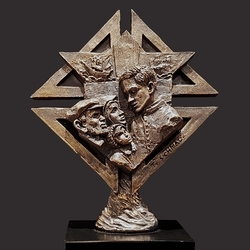 Founded by Father Michael J. McGivney in New Haven, Connecticut, in 1882, the Knights of Columbus is named in honor of the explorer Christopher Columbus. This miniature sculpture is a solid resin-stone cast and coated in a realistic bronze finish and is mounted on a solid matt black base. Timothy personally sculpts every original small masterpiece complete with his signature or monogram. Each replica is detailed by hand to the exacting standards of this modern day master sculptor.